For more outfit updates, check me out @shopdealtry on Instagram! Really feeling the power of the flower right now, mixing up my floral prints this weekend and i'm surprised to say that I was pretty into it! These shoes and trousers were a couple of vintage finds and I never thought about putting them together. This one is a big ol' man repeller of an outfit, but ladies how do you feel about the mix? 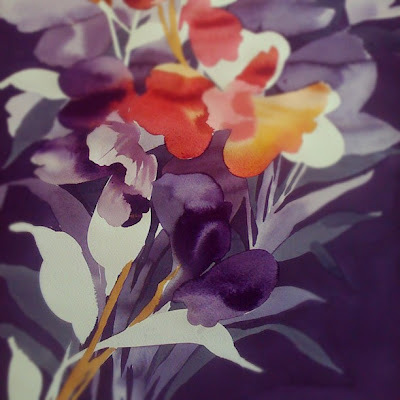 Painting flowers is a big part of how I make my living, and so usually I stick to geometric prints and solid colors in my wardrobe. 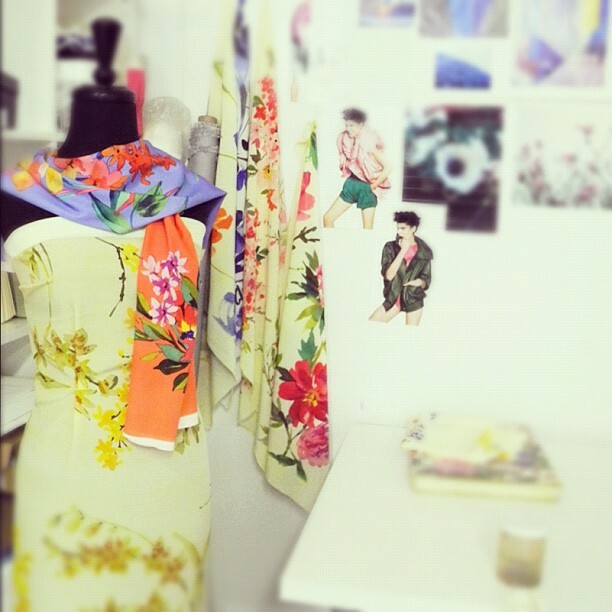 But, occasionally a really good print catches my eye, like this gorgeous one from the Summer '12 line at Zimmerman. Now these guys do a good floral, totally dreamy stuff! I would like these trousers from here too, BUT with a top covering the crotch area, leggings as trousers are just not on! Too cute! 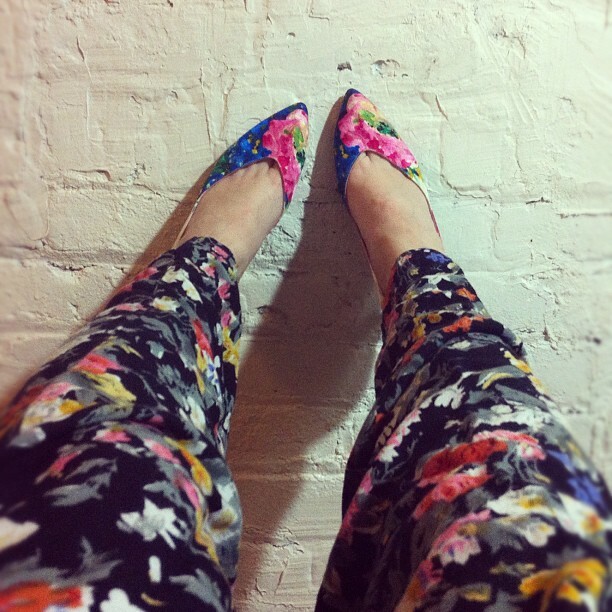 Love your floral mixing! love the floral mixing, man repellent or no man repellent. 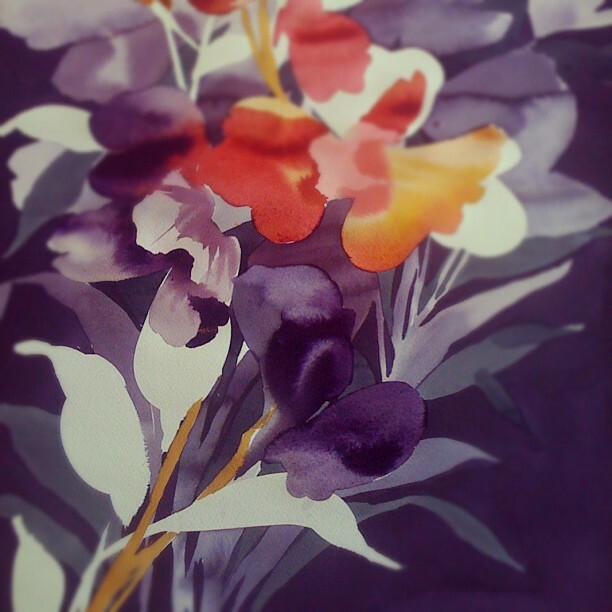 also the last floral you painted is outstanding! amazing colors and love the balance, pattern, everything. i know, this year's already half over, where did the time go?! and the weather's been so crappy lately too, even though it was sunny and 90 just a couple weeks ago, crazy. I am currently replying via my iPad and the curse of the ' fat finger' is upon me, I shan't judge you! truly the reigning print queen! Love the mix. Also loving your bleach beach scarf, it is beautiful.